Betsy Manero climbs an Indian Creek classic. The Creek, a part of Bear's Ears National Monument, is now under threat. 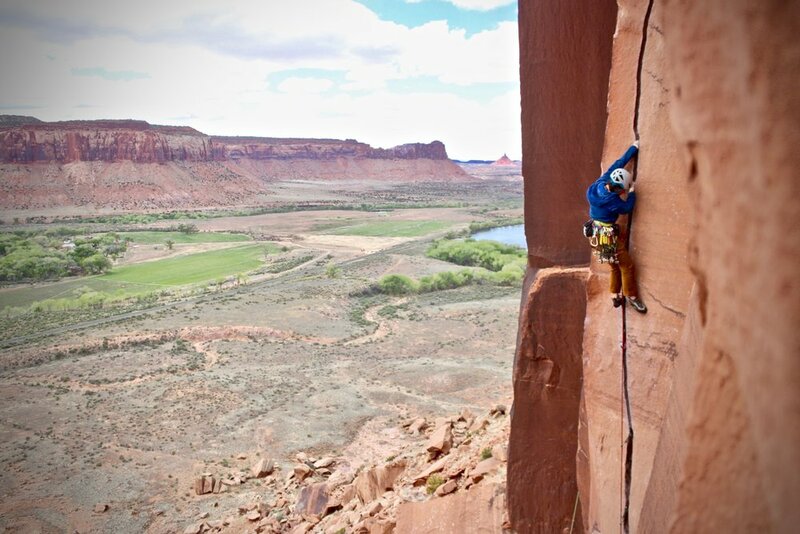 The American Alpine Club is concerned by Zinke’s recommendation to modify 10 national monuments, including reducing Utah’s Bears Ears and Grand Staircase-Escalante, Nevada’s Gold Butte, and Oregon’s Cascade-Siskiyou. Any modifications to these monuments will impact the future of critical climbing resources on our public lands and the Antiquities Act—the law signed by President Theodore Roosevelt to protect the important archaeological, historic and scientific assets that face imminent threat. The American Alpine Club is fiercely committed to our country’s national monuments—their wild landscapes and cultural and scientific resources. Read more and find out what you can do to help protect our public lands. Newer PostThe AAC is Hiring!